Roebuck Company's downtown store, which closed in 1974. The current, 21-story structure was built in 1986 and is known as the Regions Bank. Orlando Remembered is a community based group, dedicated to the preservation of Downtown Orlando's past. 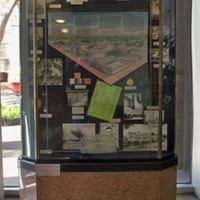 To date, the group has constructed 18 exhibits in the downtown area that highlight the current building's connection to the past. Original color digital image by Mark Barnes, January 12, 2016. Rutland's Collection, Orlando Remembered Collection, Orlando Collection, Orange County Collection, RICHES of Central Florida. Originally created by Mark Barnes. Barnes, Mark . 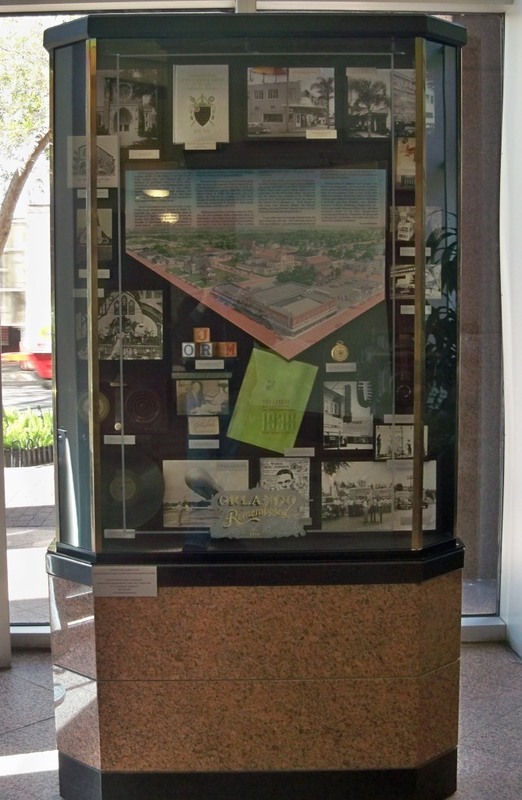 “Orlando Remembered Exhibit at Rutland's.” RICHES of Central Florida accessed April 22, 2019, https://richesmi.cah.ucf.edu/omeka/items/show/6586.